Accept card and contactless payments in person with PayPal Here. Whether you’re looking for a card reader or a more sophisticated point-of-sale system, PayPal Here has solutions to cater for your business needs. Card and contactless payments - easy and secure. 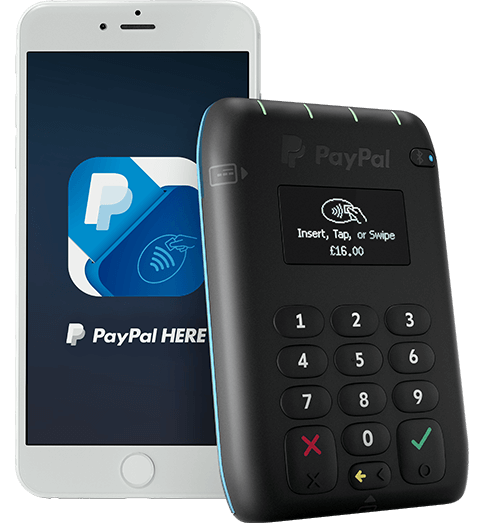 It's simple to take card or contactless payments, including Apple Pay and Android Pay, in person with PayPal Here card reader. Get money paid into your account within seconds, protected by PayPal's world-class security and managed with the app. How to get started with the PayPal Here card reader. 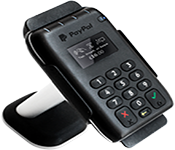 1Order PayPal Here card reader. 2Download the PayPal Here app for iPhone, iPad and Android devices. 3Sign up for a PayPal Here account. We count all your PayPal transactions to get your volume discounts, not just payments you take through PayPal Here. *Subject to application. Other fees apply. See all fees. Explore the free PayPal Here point-of-sale app. 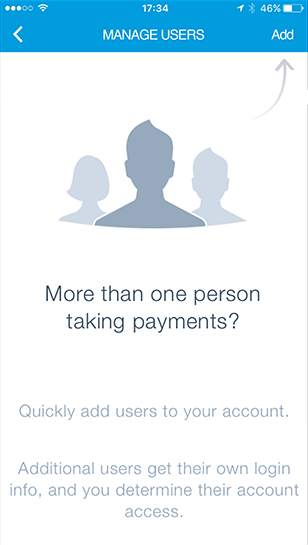 The PayPal Here app features many useful tools to help you get paid. Download the app on iPhone, iPad or Android devices to get started. 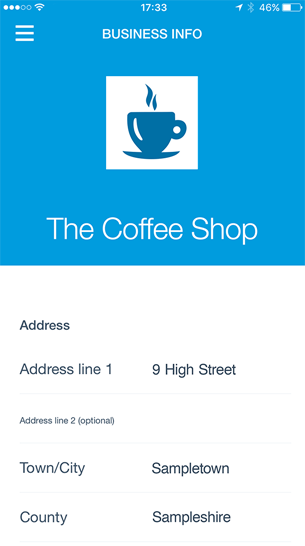 Customise your business profile and receipts. Help avoid customer chargebacks by stating your return policy and creating a recognisable card statement name for your business. 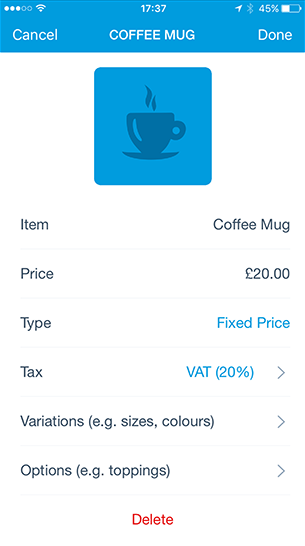 Use the app or log in to PayPal on your desktop to manage and categorise your inventory list and upload photos. Add up to 200 users to one account, all with separate passwords and access levels. 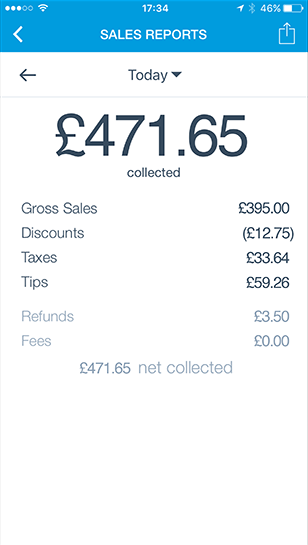 Run customised sales reports by date, salesperson, items, and more—all in a couple of taps. You can apply for the below Merchant Rate if you’ve processed more than £1,500 in total payments through PayPal in the previous calendar month and your account is in good standing (not currently under investigation). We will look at your total payments processed to determine your Merchant Rate on a monthly basis. *Actual Interchange costs will vary depending on the type of card used and where it was issued. Interchange fees vary from 0.2% to 2.0%. Blended rate of 3.40% + 20p, or Interchange Plus rate of Interchange + 3.15% + 20p applies for card payments made by swiping the magnetic strip or manually entering the card details. Amex card payments with Chip & Pin, Chip & Signature, and Contactless functionality are always processed with a rate of 2.75%. Amex card payments made by swiping the magnetic stripe or manually entering the card details are always processed with rate of 3.4% + 20p. Additional fees such as cross-border fees may apply. See our terms for details. This table shows transaction fees for domestic payments in GBP. Additional charges apply for currency conversions and cross-border payments as well as refunds and chargebacks. The blended fee structure can include two components – a set percentage for each transaction, plus a fixed fee for some transactions. You’ll pay the same rate regardless of the card type used, with PayPal absorbing any fluctuations in the actual cost of performing the transaction. For example, you might be charged 2.75% or 3.4% + 20p depending on the transaction type. You’ll receive the money in your PayPal account as soon as your customer makes the purchase, and that money is usually available immediately to withdraw to a bank account. The vast majority of your sales are from consumer card types in the UK or from within the European Economic Area where interchange fees are capped. Delay of one to two business days to the availability of your credit and debit card funds is acceptable. Differing settlement times between card sales and PayPal sales doesn’t impact reconciliation. After qualifying for Merchant Rate pricing you need to maintain a payment volume of more than £1,500 per month to remain eligible for Merchant Rates. In the event that a payment volume of more than £1,500 is not maintained in the previous calendar month, or if you have unresolved chargebacks, you will no longer be eligible for Merchant Rate pricing and Standard Rate fees will apply. You don’t need to reapply for Merchant Rate fees if your payment volume drops below £1,500 in the previous calendar month. Merchant Rates will automatically apply again when you reach the qualifying payment volume. If you’re interested in these merchant rates, please log in to your PayPal account and apply via the online application form. If you are declined, please note that you will only be able to reapply in 30 days' time. 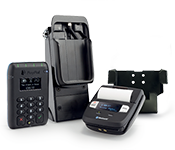 Looking for more than just a card reader? 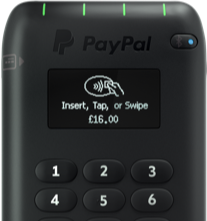 PayPal offers a range of scalable and flexible packages that combine easy card and contactless payments of the card reader with partner software and accessories to suit any industry. Accessories for the PayPal Here card reader. Card reader accessories Mounting and charging peripherals for your card reader. 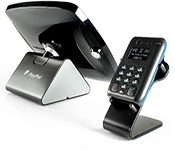 Bouncepad Secure iPad enclosure, flippable screen and card reader cradle. 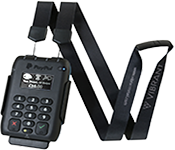 Lanyards and cases Simple solutions to carry and protect your card reader. Complete cab bundle PayPal Here card reader with TFL approved Black Cab mounting solution and printer. 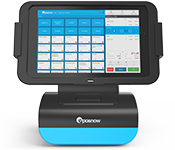 POStoGO Everything you need to trade including PayPal Here card reader, Epos Now’s award-winning software, innovative mobile tablet, base-unit & printer. Point-of-sale stands Lockable tablet enclosure with integrated card reader holder. Unsure about how PayPal Here works? 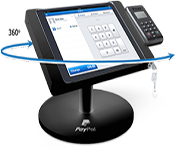 Want a PayPal Here Custom POS solution? Need advice from the community? Prefer to speak to someone instead? How do I take a payment with PayPal Here? Taking a payment with PayPal Here is easy. All you need is your card reader, the PayPal Here app, a phone or tablet and an internet connection. How do I pair the card reader via Bluetooth? To pair your card reader with your phone or tablet via Bluetooth, make sure your card reader is switched on, then turn on your phone or tablet’s Bluetooth setting. Do I need an internet connection to use PayPal Here? Yes. To take payments with PayPal Here, you must be connected to the internet via Wi-Fi or mobile data. What support do I have if I experience any difficulty when taking payments? There’s lots of helpful advice on our How to page and if you still have questions or concerns, contact our UK based customer support team on 020 8080 6500 or 0800 358 9448** between 8:00 AM and 10:00 PM Monday through Friday and from 9:00 AM to 9:00 PM on weekends or just email us on paypalhere-apps@paypal.com. **Calls to the 0800 number are free from a BT landline. Calls from other networks may vary and from mobiles will cost considerably more. Cookies help us customise PayPal for you, and some are necessary to make our site work. Cookies also let us show you personalised offers and promotions, both on and off our site. Of course, you're in control. You can manage your cookies at any time.